A very quick post from me this morning as I’m off to the studio shortly! 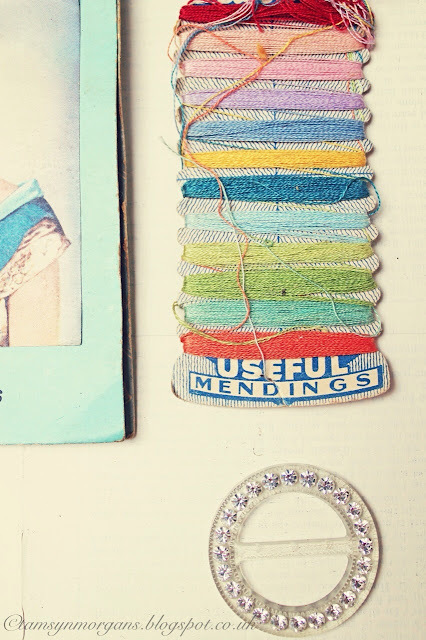 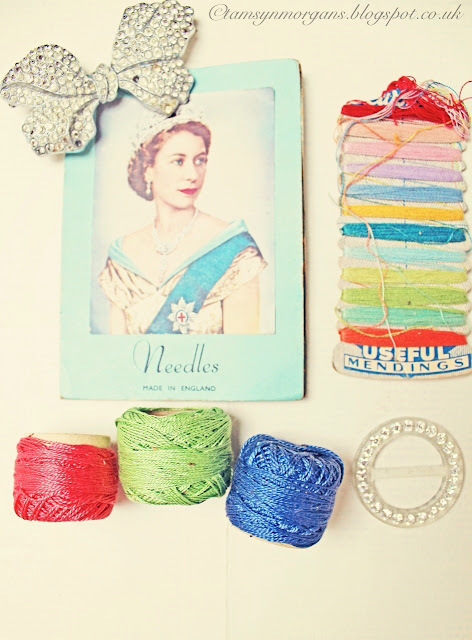 A bit of rainbow colour for a Sunday morning – thought I’d share some pictures of this old sewing kit I found at a car boot fair. 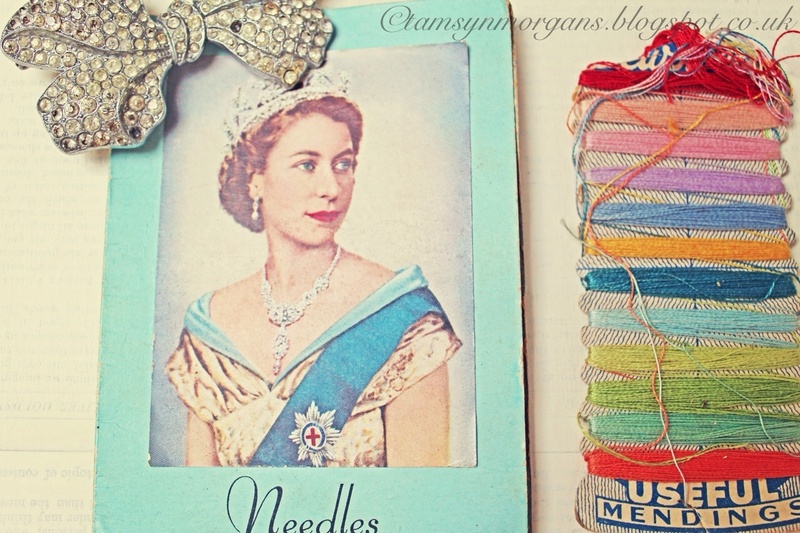 I had to do a spot of rummaging at the bottom of a box to find it. 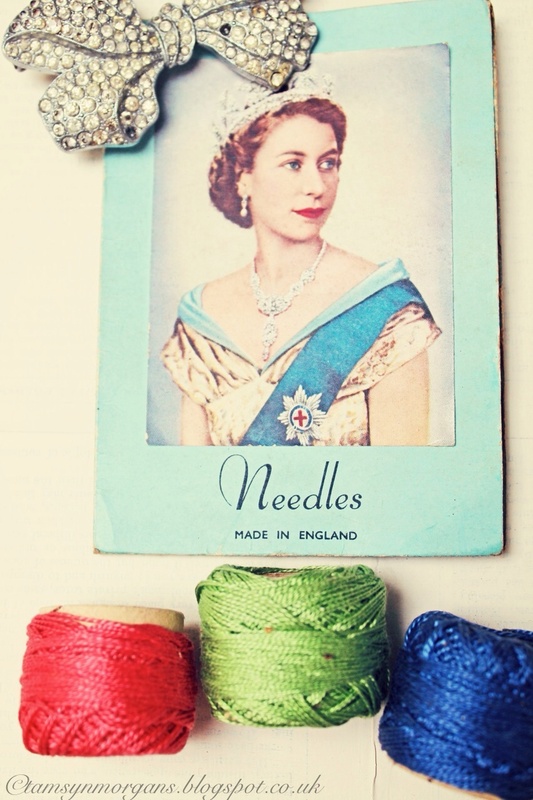 I love the jewel bright colours of the threads on the card, and I adore images of the Queen in her youth, so altogether it was a very pleasing find! Have a lovely day, I will be posting again over the next couple of days so please do pop back!